Welcome to The Lapa Company. Visit our showroom in Kent to see our elegant garden buildings and outdoor kitchens. Local craftsmanship, premium products and friendly service is at the heart of what we do. 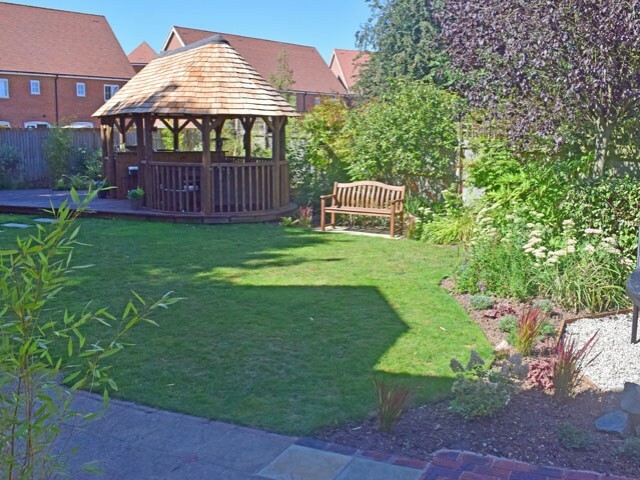 We have a number of garden buildings on display and can discuss the ideal structure for your outdoor space. 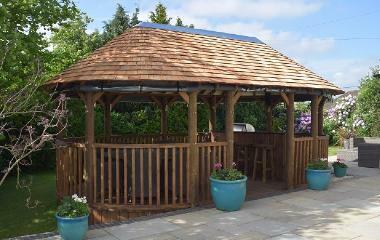 Topping our range of gazebos are our premium thatched gazebos. These are the highest quality garden buildings available and offer a circular full timber roof, curved balustrades, and curved benched seating to match. Not only does this look fantastic but it also maximises the internal space. 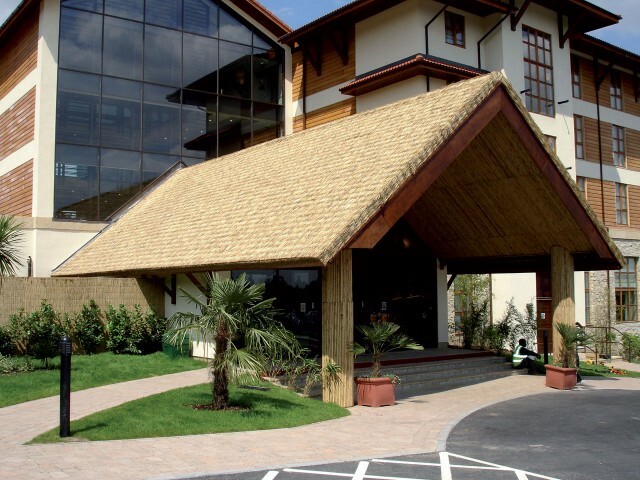 The premium range are available with either a thatched roof or cedar shingle finish. 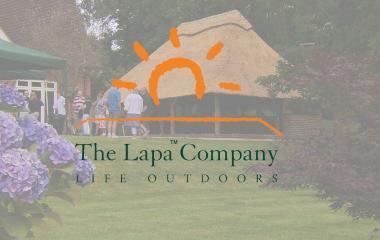 Add a touch of elegance to your garden with a Lapa. A truly unique and stunning structure, these buildings are our flagship product and each one is built by hand on site to the customer's own personal requirements. 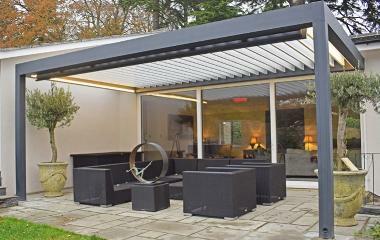 Traditional construction methods are employed alongside cutting edge design, and the result is a contemporary and flexible outdoor living space. The unique Prestige Package is on SPECIAL OFFER, installed from only £19,995. Cook and dine within one alfresco entertaining space, package includes interior lighting, infrared heating, bar stools, dining table, 8 chairs, outdoor kitchen with powerful gas barbecue, outdoor fridge and more! The Lapa Company is proud to offer an extensive range of elegant garden buildings across the UK. 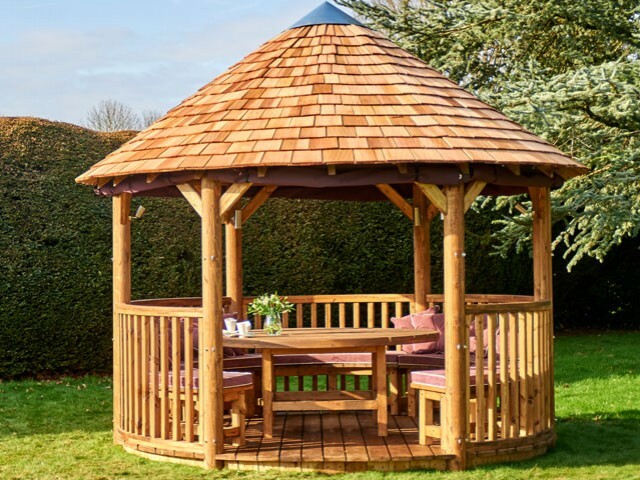 Our showroom, based near West Malling, Kent, is an ideal location to browse our wooden gazebo designs and hand-pick your preferred garden building style within 'The Garden of England'. 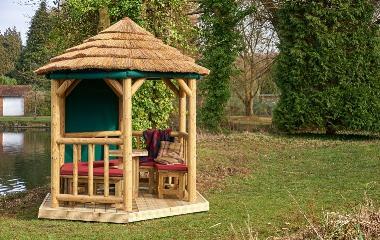 Our wide-ranging collection of thatched gazebos, Lapas and cedar shingle garden buildings add a touch of elegance to your outdoor living space and are available in a multitude of shapes and sizes. 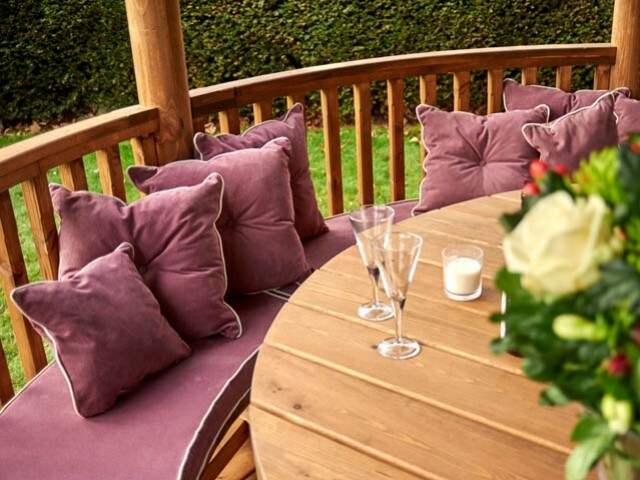 Personalise your own cedar shingle or thatched gazebo with an array of high quality, stylish accessories, from Alexander Rose Rattan Furniture to handcrafted wooden bench seats & UV resistant outdoor cushions. The Classic range is extremely popular due to its rustic looks, machine round timber and affordable prices. 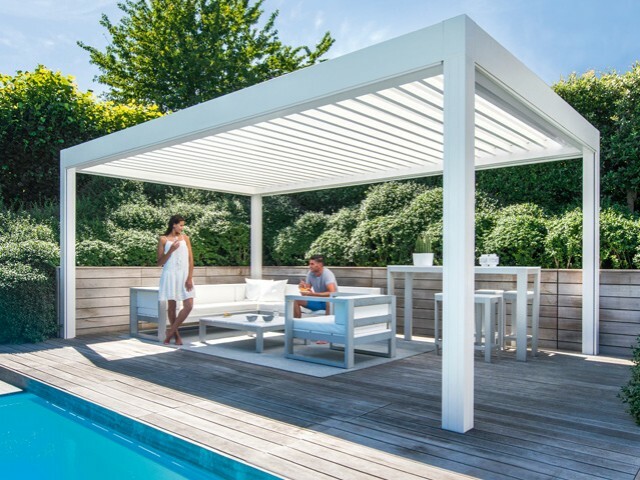 Elegantly styled with a spacious interior and hand profiled woodwork, every Premium Gazebo includes a timber floor and interior hi-light roof. The dining room in your garden. A unique al fresco entertaining space seating up to 12. 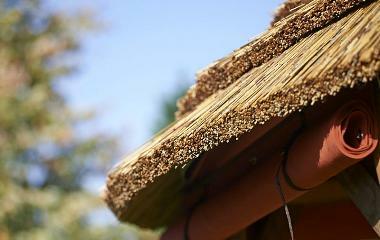 Cape Reed Thatch Tiles are ideal for re-thatching existing shelters or for any home build project. Flexible to your design and easy to fit. Have a look at some of our most recent customer installations, from Renson Louvered Gardens to beautiful Prestige Gazebos. Watch our short film featuring our handcrafted Lapas and gazebo range and even get a peek behind the scenes of our workshop. Best viewed with sound. 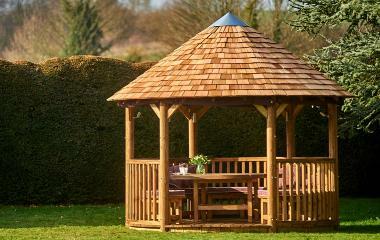 Get the very best from your life outdoors with our extensive range of thatched garden buildings and gazebos. 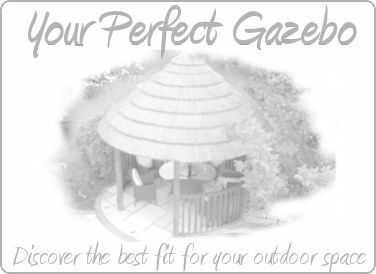 From our exclusive handcrafted Lapas, designed and built to your individual requirements, to our comprehensive range of thatched gazebos we have something for everyone. Our prices are extremely competitive and all of our products offer exceptional quality. Full installation can be provided for all of our garden buildings including Lapas, our full range of thatched garden gazebos and much more. 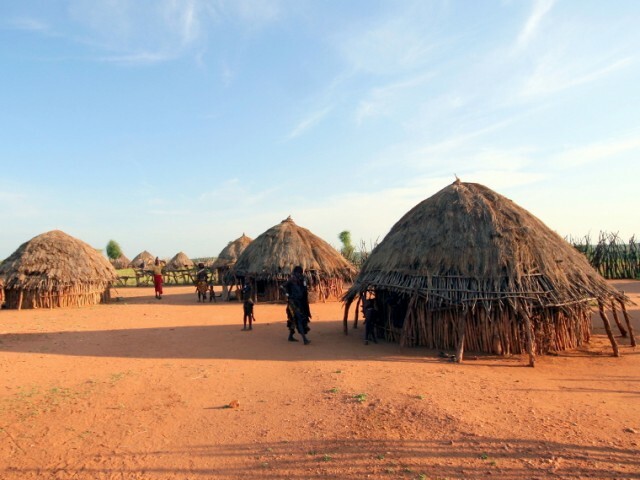 For personal build projects, we can deliver goods directly to you such as classic thatched wooden gazebo kits, thatch tiles or shelter kits, all provided with full instructions to assist you. Examples of our commercial projects and outdoor classrooms can be seen across the UK with The Lapa Company selected by many well known venues due to the themed nature and handcrafted quality of our builds. 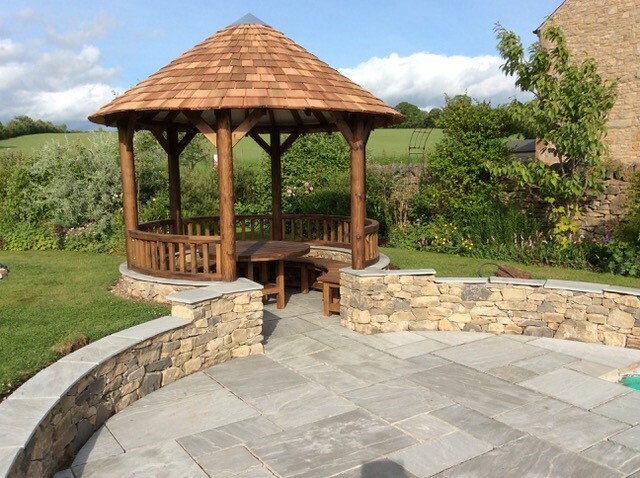 Whatever your requirement, we are always on hand to offer friendly advice on the most suitable garden building or accessory for you. "We are so happy with the building. 'The team' were amazing and worked so hard to get it finished for the children. They were incredibly professional at all times and nothing was too much trouble...Please make sure that everyone at 'The Lapa Company' knows how delighted we are with the project." 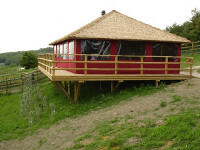 "The process of having our wonderful cabanna built was remarkably seamless ...their workmanship is excellent...everyone who has seen it has been amazed by what they have built....we would thoroughly recommend The Lapa Company and welcome anyone who would like to view their work in the future." "The quality and style of all the buildings provided to us has been excellent and we have found The Lapa Company to be an efficient and easy company to work with. We would have no hesitation in recommending them." "The gazebo always looked nice from your photos but to see it in reality, it is amazing. The quality is superb and it is so beautifully crafted... Thank you all for such a brilliant, friendly & professional service, you’re the tops!"